Solid body. 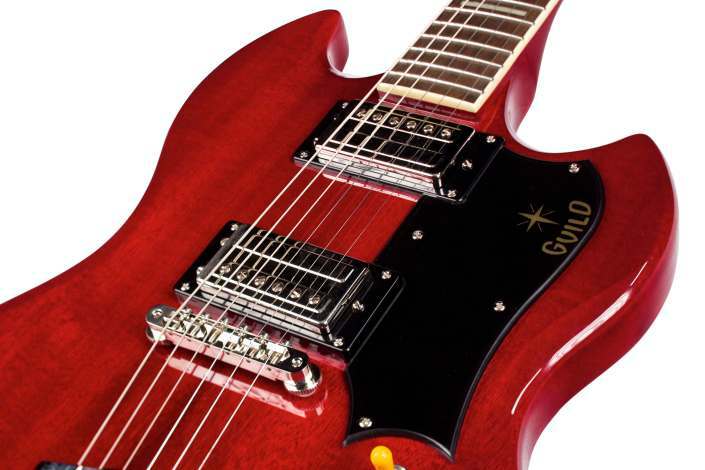 Guild style from the ’70s is back and better than ever with the return of the solid-body S-100 guitar. With its solid and slightly offset mahogany body, the new S-100 Polara™ evokes its esteemed and hard-rocking predecessor of more than 40 years ago. 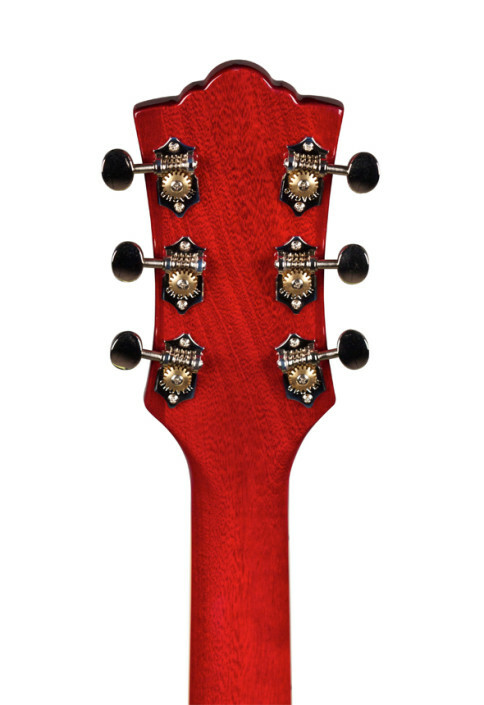 Responsive and versatile, it also features a distinctive 24 3/4″ scale, classic Cherry Red finish, rock-solid mahogany neck, and a potent pair of Guild HB-1 pickups. Guild’s deluxe padded gig bag rounds out this ultimate package. Also available in Black and White finish. The welcome return of a true Guild classic.